Some days, you forget. Some losses, you dismiss. Some disappointments, you swallow. This one, however, will hurt for a while. This one, a 9-8 loss to Toronto, could be the one that the Tampa Bay Rays carry with them into the off-season. 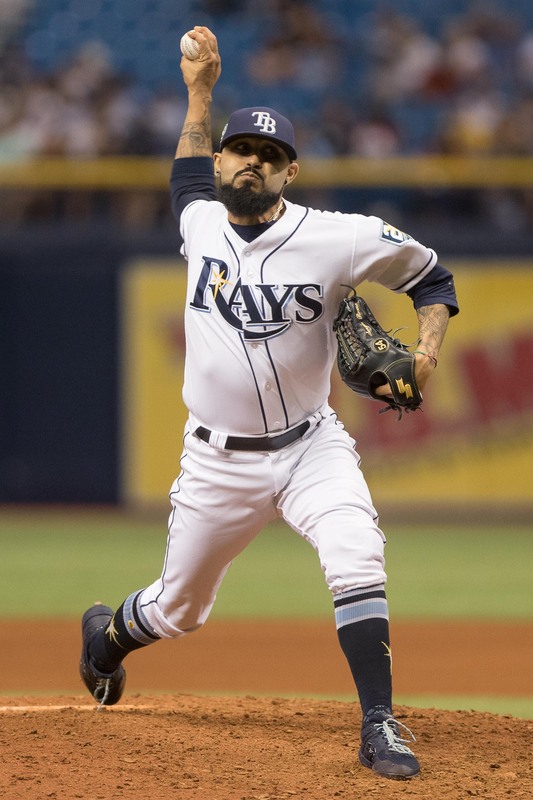 The Rays blew an 8-2 lead in the bottom of the ninth, as Jamie Schultz gave up four runs (in a third of an inning) and Sergio Romo (in a third of an inning) gave up three more. 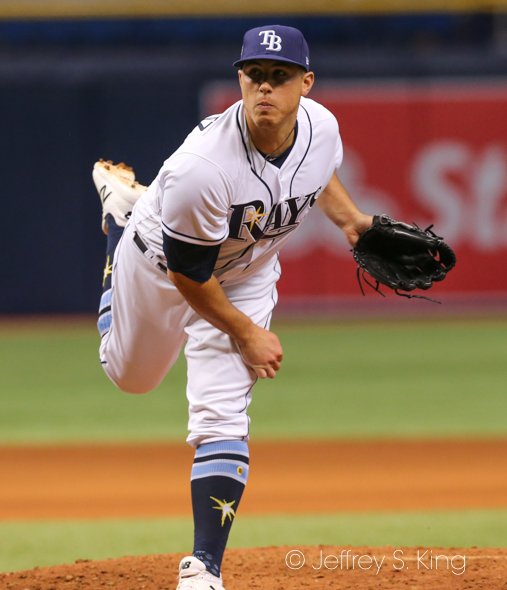 The Rays had seemingly clinched their sixth straight win earlier, coming back from a 2-0 deficit to take a 3-2 lead. The team then scored five runs in the seventh to take control of the game. The Rays, zealous all season in their moves to the bullpen, left Schultz in for 32 pitches in the ninth. Romo threw two home run balls in nine pitches. Rays' manager Kevin Cash said Schultz' problem was "just finishing guys. The strike-throwing was okay. Ultimately, he couldn't make some pitches to finish guys. He got a two strike count a couple of times and wasn't able to put the batter away." Romo blew his eighth save of the year, which drops him into a tie with Toronto's Ryan Tepera. Tampa Bay had a chance to move 20 games above .500. The loss spoiled that, and it left the Rays 6 1/2 games behind Oakland with 10 games to play. The A's beat the Angels 21-3 on Thursday. made some good pitches they fought off, and then gave up the big one. It's tough to let these guys down. They expect you to do your job and I couldn't come through." 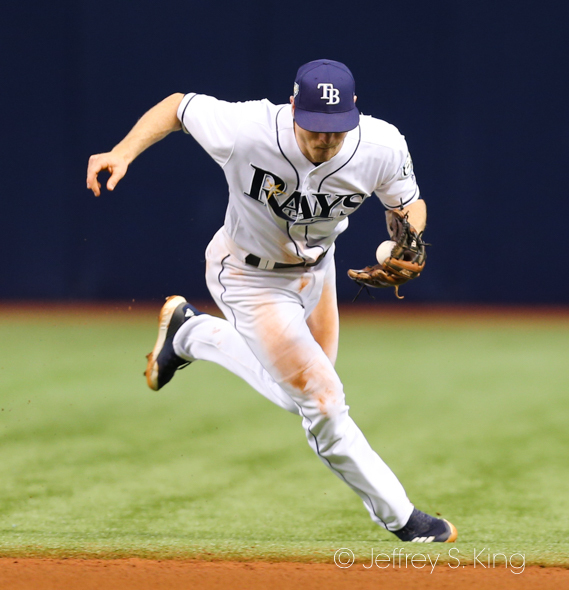 The Rays looked as if they had done enough to win with their five-running seventh, especially with a bullpen that has been solid for most of the season. But you could argue that the team lacks a true closer, which should be one of the goals before next year. For Toronto, Danny Jansen hit a three-run homer, Lourdes Gurriel Jr. hit a two-run shot and Justin Smoak hit the game-winner. hit off the bat of Kendrys Morales that fell in front of centerfielder Mallex Smith. If that ball had been caught, the Rays would have won. "Perfectly placed," Smith said. "We were playing deeper to protect (against) the double. He hit a popup between us and the infield." 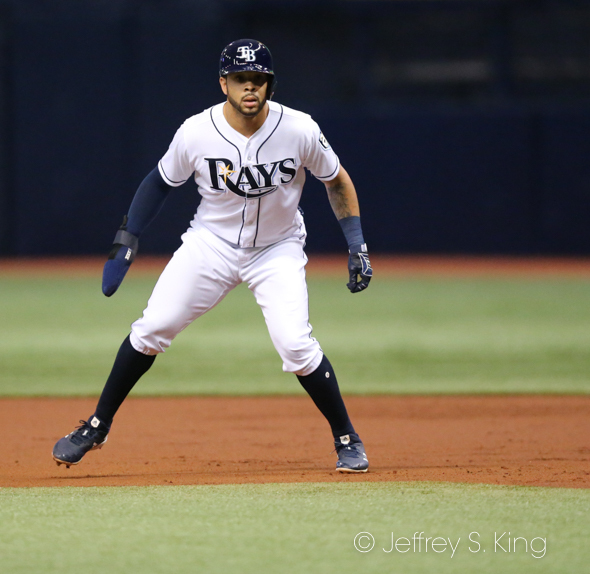 Tampa Bay got three hits from Tommy Pham and two from both Matt Duffy and Joey Wendle. 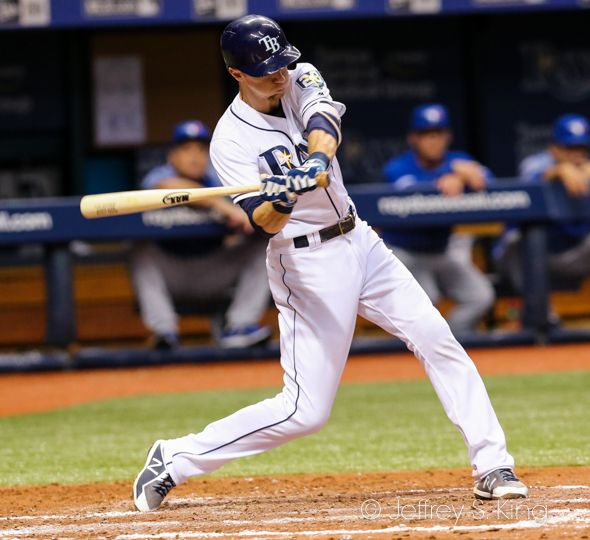 The Rays' quest to have a .300 hitter continues, with Wendle hitting .303, Smith hitting .301 and Duffy hitting .300. The Rays play the Blue Jays again tonight at 7:07 at the Rodgers Center in Toronto. Tampa Bay's Diego Castillo is scheduled to pitch against Sean Reid-Foley. Kind of feels like the day the music died doesn’t it? The odds were stacked against them mostly because the A’s kept winning but somehow you still felt there was a still a chance. That’s gone now. I agree with you 1,000% that the Rays need to find a closer for next year. The Rays have been able to find a closer in free agency before. That should be priority 1 going into the off season. Do you think Alvarado could do it? He’s been very good lately. I certainly wished he had the ninth last night. Lot of arms in this organization. Someone should be able to shut the door. It’s possible Alvarado could be the guy but if you take him out of his current role that will leave a hole. The Rays have developed a good core of bullpen guys who are effective but when they run through that group the ones who come in after are pot luck. Some nights the guys they use in the 9th inning are the least effective pitchers in their arsenal. That shouldn’t be. So the question is will the group of guys who have been up and down from the minors improve enough to keep them around permanently or do they need to go out and get more arms in free agency? Every year they seem to find an arm or 2 from outside the organization so I say let’s do that again this off season and don’t be cheap about it. For the frequency that they use that bullpen they are going to need a couple more quality arms to make a serious run next year. They have arms. If I were them, I’d scour again for another Eovaldi that could flipped, but whoever they pick up will be low priced and coming off an injury. Yes, they’ll be cheap about it. They can’t match other offers for high-levarage relievers. Some days are like that. Shake it off and move on! GO RAYS! Some days? When Billy the Kid was shot was a day like that. When the Terminator came to visit Sarah Connor, it was a day like that. When Michael Corleone’s kid was baptized, it was a day like that. Next post: The predictions: Does Tennessee-Florida still matter?